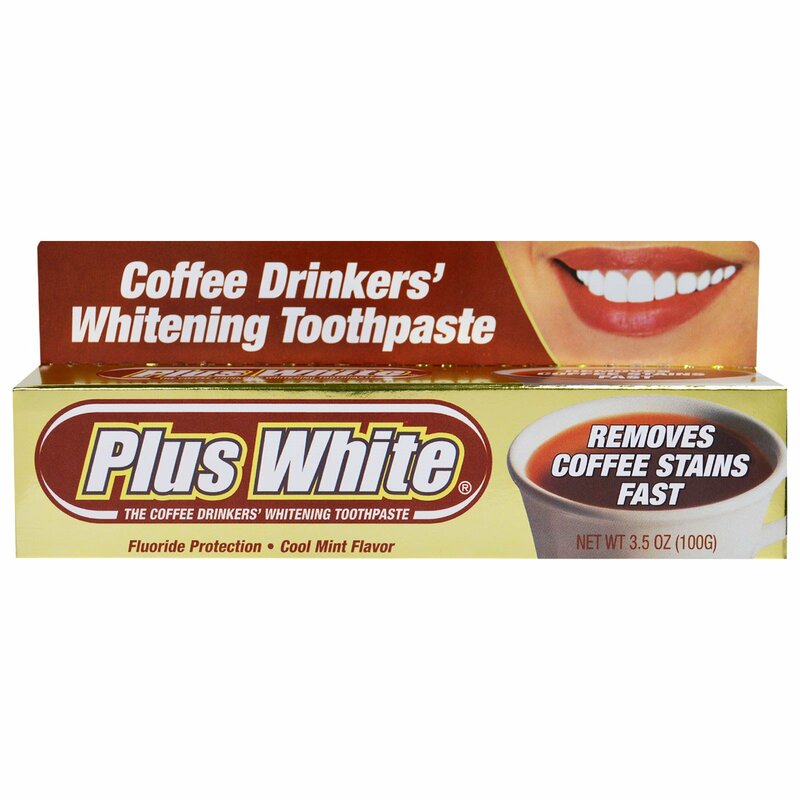 Coffee Drinkers' Whitening Toothpaste also helps remove plaque to control tartar and provides fluoride protection against cavities. And its cool, minty flavor freshens stale "coffee breath" for hours. Now you can enjoy your coffee and let Plus+White remove the stains! 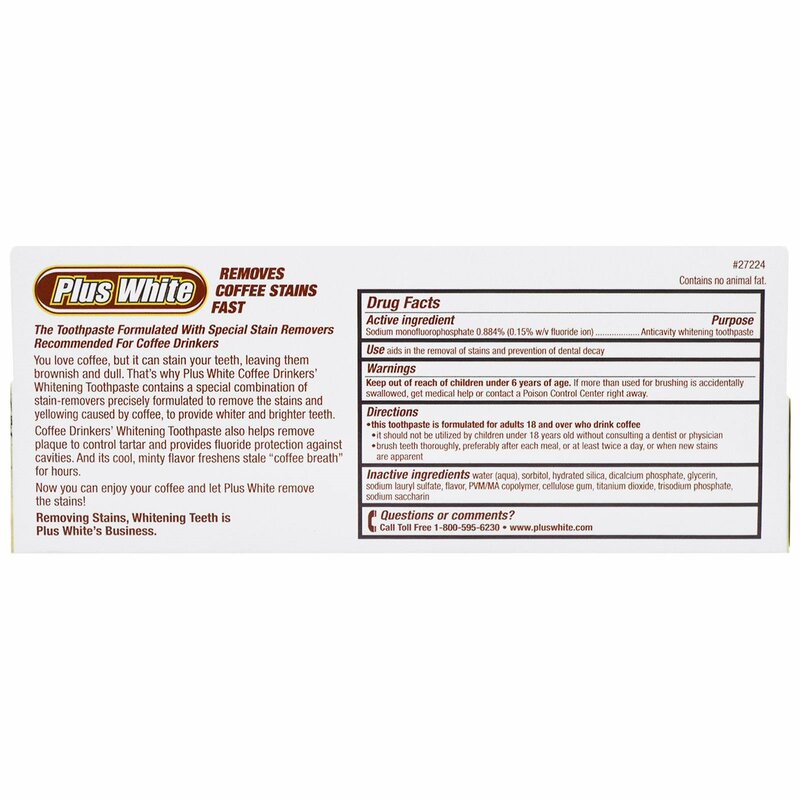 Removing Stains, Whitening Teeth is Plus+White's Business. Brush teeth thoroughly, preferably after each meal, or at least twice a day, or when new stains are apparent. Water (aqua), sorbitol, hydrated silica, dicalcium phosphate, glycerin, sodium lauryl sulfate, PVM/MA copolymer, cellulose gum, titanium dioxide, trisodium phosphate, sodium saccharin.